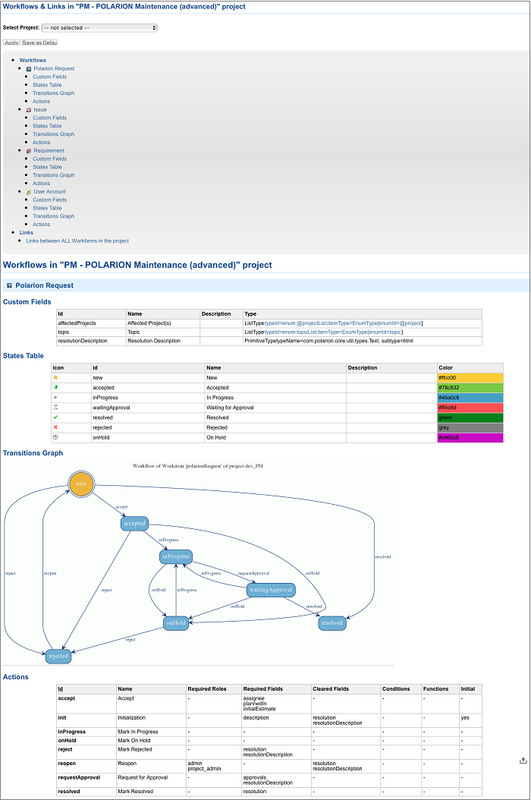 Polarion project Template "PM - Polarion Maintenance"
Useful Template for Administrators to control and document changes in your Polarion projects configurations: to track issues, bugs and change requests from users. It helps to organize communication between Users and Admin(s). Useful Template for Administrators to organize their work. document Changes in Polarion configurations. keep track of work in Agile way (KanBan, ScrumBoard, Plans, etc). Change Requests are submitted by Users and Administrators - to implement some new report, make some changes, create new user, customize project, etc. 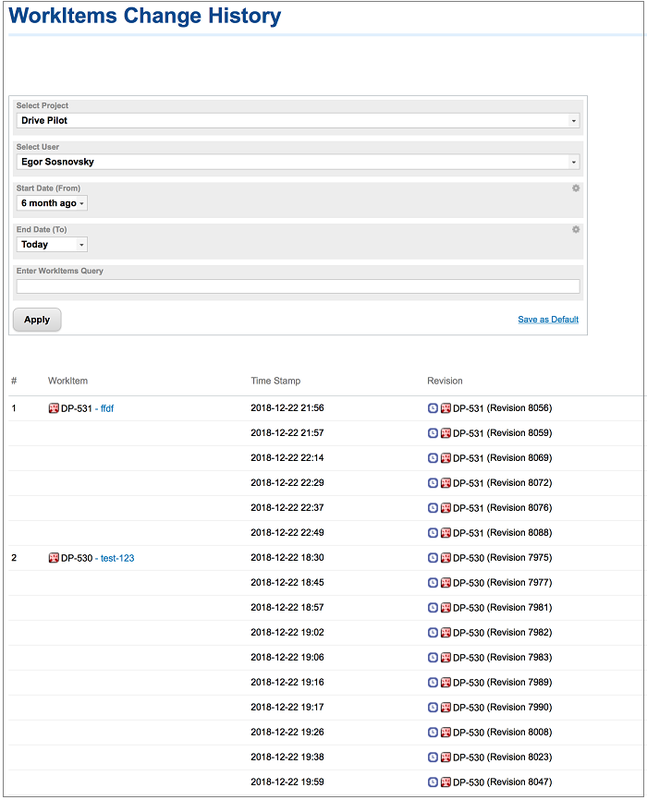 Chnage Requests are solved/implemented by Administrators. Weekly discussion and prioritization is done by Administrators. Historical analysis of Change Requests and Requirements is possible. Users - submit Requirements and Change Requests. Admins - implement changes in configuration of Polarion. "WHAT USER HAS CHANGED? 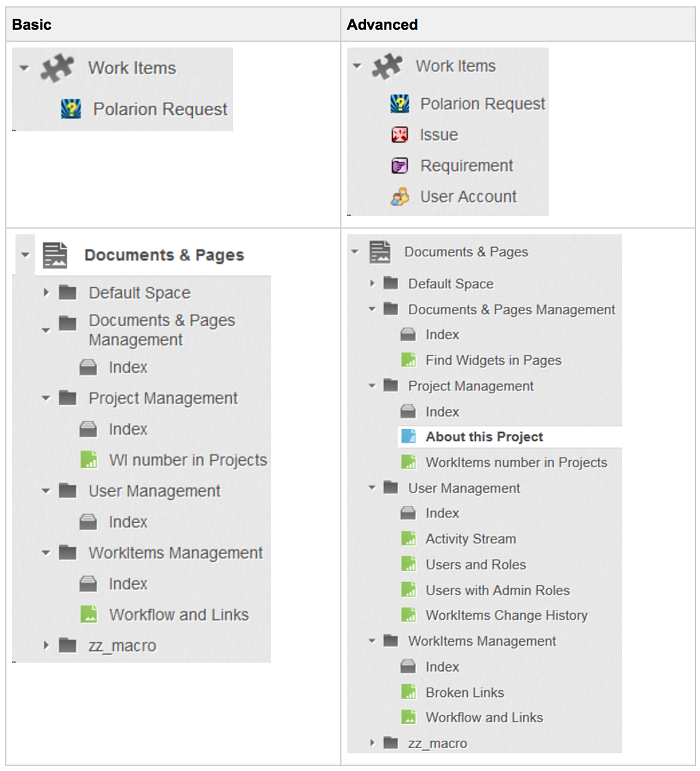 - WORKITEMS CHANGE HISTORY"
Work Item types Polarion Request and Issue have the same Workflow. This Workflow makes the implementing of Polarion Request and Issue convenient and helps to control the whole life-cycle from creation to being fully resolved. 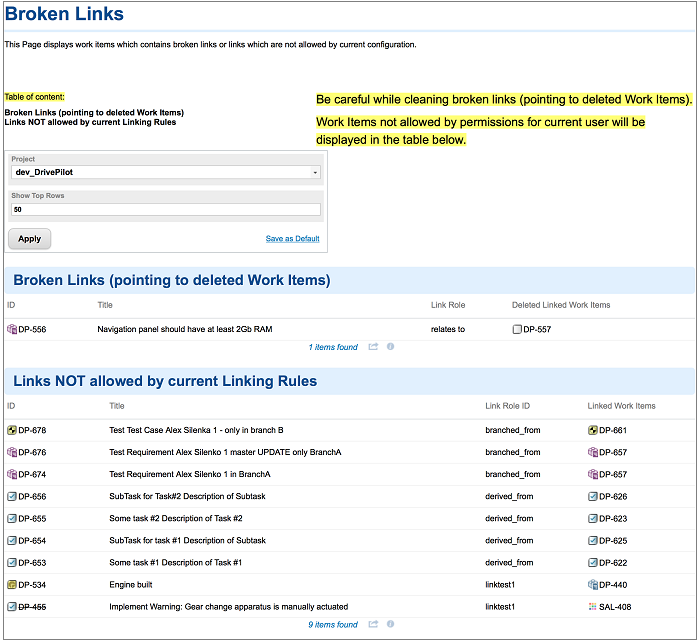 link roles are either not allowed by current linking rules or link rules were deleted from project configuration (Table #2 below). Report "What User has Changed? - WorkItems Change History"
The Report shows a list of Work Items updated in selected period in selected project for selected user.